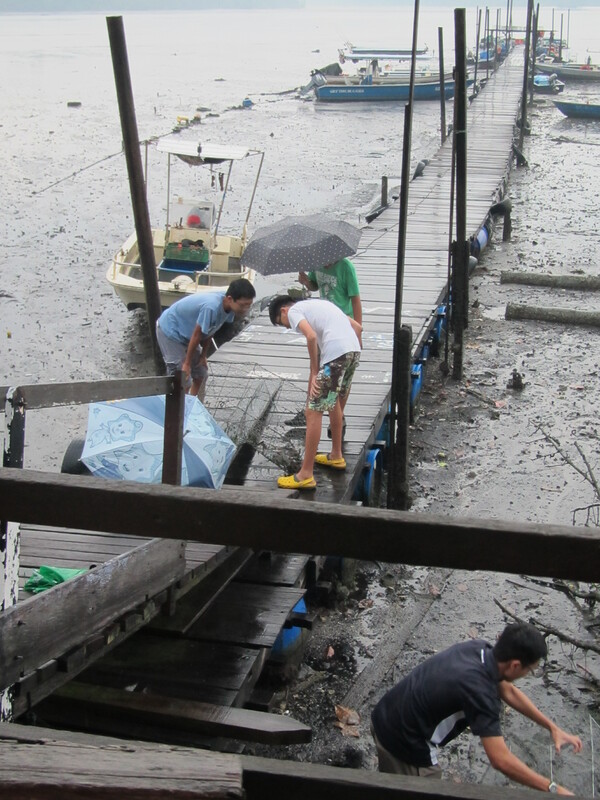 Last Saturday Caleb and I took part in a nationwide census of horseshoe crabs around Singapore. Since moving to a new country with such diverse wildlife we wanted to get involved in events which help us learn about local wildlife and conservation issues. This is the third survey organized by the Nature Society of Singapore since 2010 and aims to monitor horseshoe crab populations at 9 sites across the island. The society are particularly interested in how factors such as habitat loss, algal blooms and the fishing industry could be having on declining populations. Despite their name, horseshoe crabs are not crabs and they aren’t even a type of crustacean. Instead they belong to the subphylum Chelicerata which also includes the more commonly encountered arachnids (spiders, mites, scorpions). Horseshoe crabs themselves belong to a special group of very ancient marine arthropods from the order Xiphosura, of which they are now the only living members of an ancient and otherwise extinct group. Two species of horseshoe crabs can be found in the waters around Singapore – these are the mangrove horseshoe crab (Carcinoscorpius rotundicauda) and the larger coastal horseshoe crab (Tachypleus gigas). They can be distinguished easily by looking at their “tails” (also known as telsons or caudal spikes), which are used to help them cruise around underwater and to help them right themselves if flipped over. The tails of coastal horseshoe crabs are triangular in cross-section and serrated and can be compared to mangrove horseshoe crabs which are round and smooth. 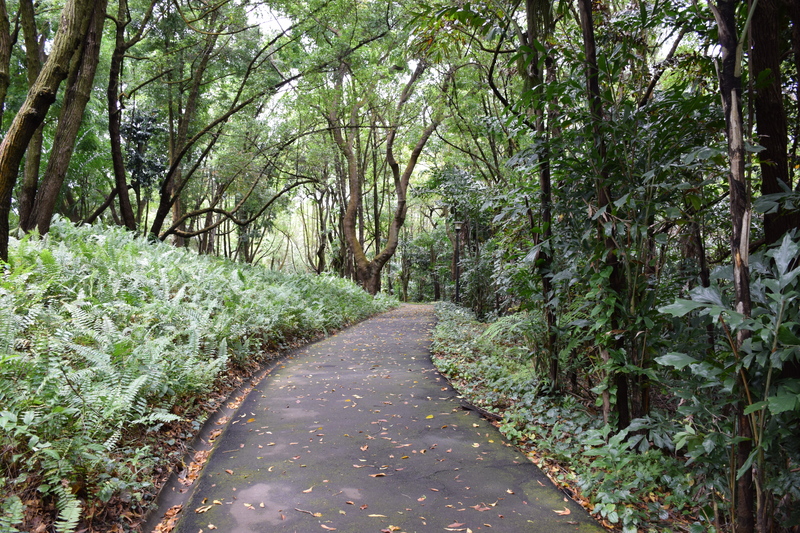 Wild Singapore has some great info and pictures on how to tell them apart here. Little is known about the biology of the two species found in Singapore but it is thought that unlike the American species which is famous for its annual mass spawning on sandy beaches along the Atlantic coast, the local species here probably breed year round. 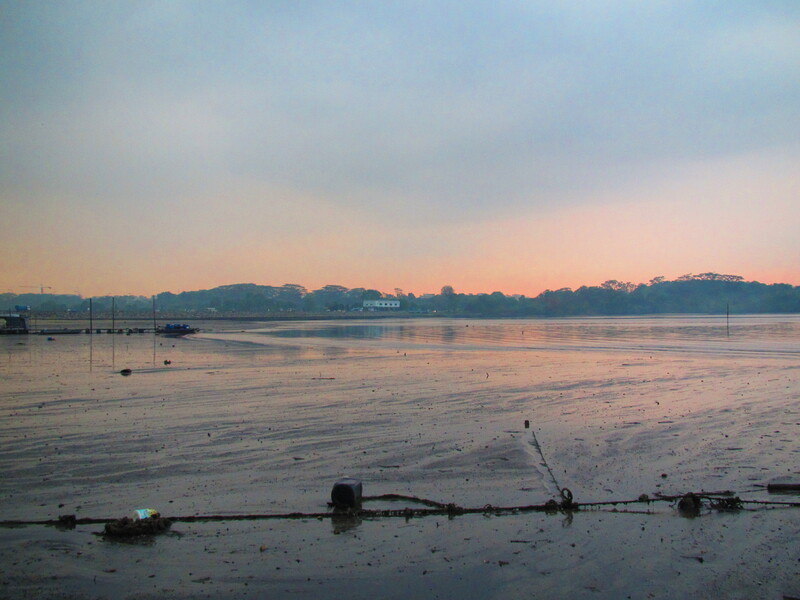 Our work at Seletar Reservoir involved getting into teams and moving up and down the mud flat to survey for horseshoe crabs. It didn’t take long before we found out that the mud is extremely deep here (several stuck gumboots) and so it was actually pretty difficult to effectively survey the site. A huge thunderstorm also abated plans a bit, but after hiding out in a fisherman’s hut we ventured out to check out some of the fishing cages along the jetty. 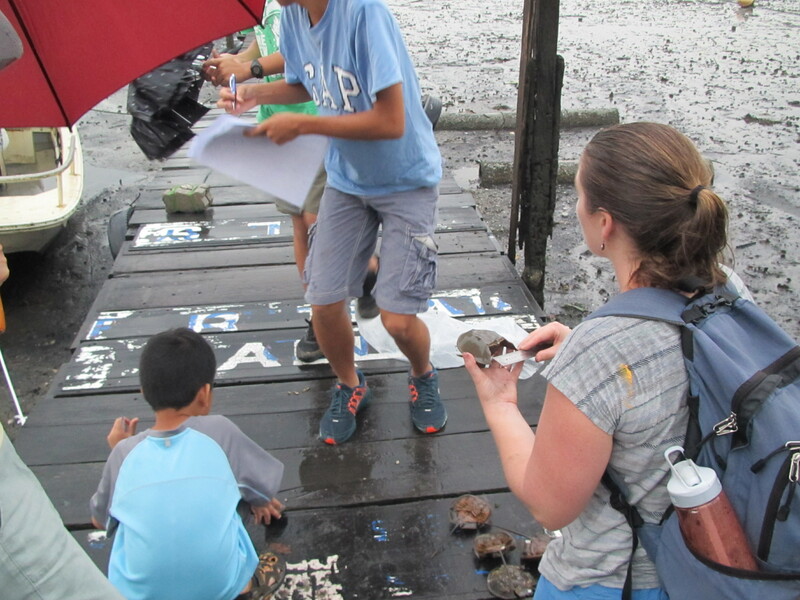 Here we found 18 horseshoe crabs that had been trapped inside two fishing cages. Luckily they were all still alive when we pulled them out so we took some quick measurements and sexed the animals before releasing them back onto the mud. We had to distinguish between male and females by flipping the crabs over to check out their undersides. Males can easily be identified by looking at their front legs (pedipalps) which are swollen at the ends to resemble little boxing gloves. These are used to latch on to females for mating. The pedipalps of females look the same as their walking legs. Males are also generally smaller than females for all species of horseshoe crab. A few brave souls also jumped into the deep mud beyond the jetty and found two large female mangrove horseshoe crabs with males attached. Both of these females had multiple satellite males hanging around, probably trying to fertilize eggs that the females were depositing in the mud (see Interesting Mating Behaviour below). Populations of horseshoe crabs around Singapore are unfortunately declining, probably in large part due to loss of habitat around coastlines. Land reclamation has resulted in a loss of sandy beach habitat for the coastal species of horseshoe crab, so much so that this species is rarely sighted in Singapore now. Mangrove forests too have declined from 13% of Singapore’s land area to just 0.5%, leaving very few breeding sites left for the mangrove horseshoe crab. The Nature Society also spends a lot of time pulling horseshoe crabs from fishing nets where they are accidentally stranded and risk death due to exposure at low tides. Horseshoe blood is an incredible blue colour, due to the oxygen-carrying part which is called hemocyanin and contains copper. Vertebrates, on the other hand, have hemoglobin which contains iron, giving oxygenated blood its more familiar red colour. Horseshoe crab blood has become an extremely valuable tool in the biomedical industry. In the 1960’s it was discovered that horseshoe crab blood will clot when it comes into contact with bacterial endotoxins, effectively closing off the bacteria and preventing any further infection. Similarly for humans, bacterial endotoxins can be very dangerous, especially if they enter our blood stream which can happen during medical injections. Since the 1970’s, horseshoe crabs have been collected, harvested for their blood and used in LAL tests (Limulus amebocyte lysate). Any potential contamination in drugs for intravenous use will be detected during these tests because of the way the blood coagulates and forms a gel around the contaminant. From what I can see online, EVERY drug is tested using horseshoe crab blood which is truly amazing. I had no idea before writing this blog that human medicine relies so greatly on these ancient creatures of the sea! 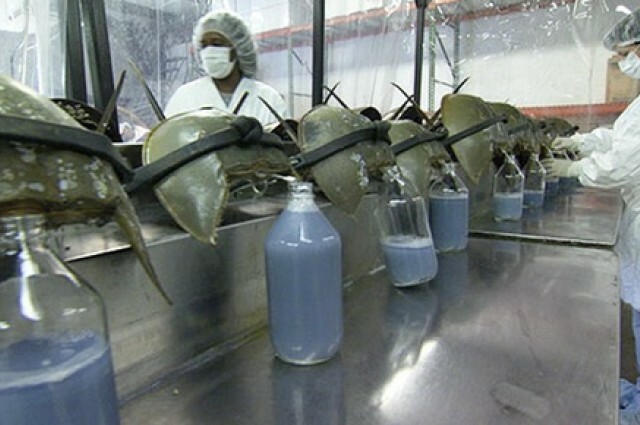 Check out this short clip from PBS Nature to learn more about how horseshoe crabs are used in the biomedical industry. 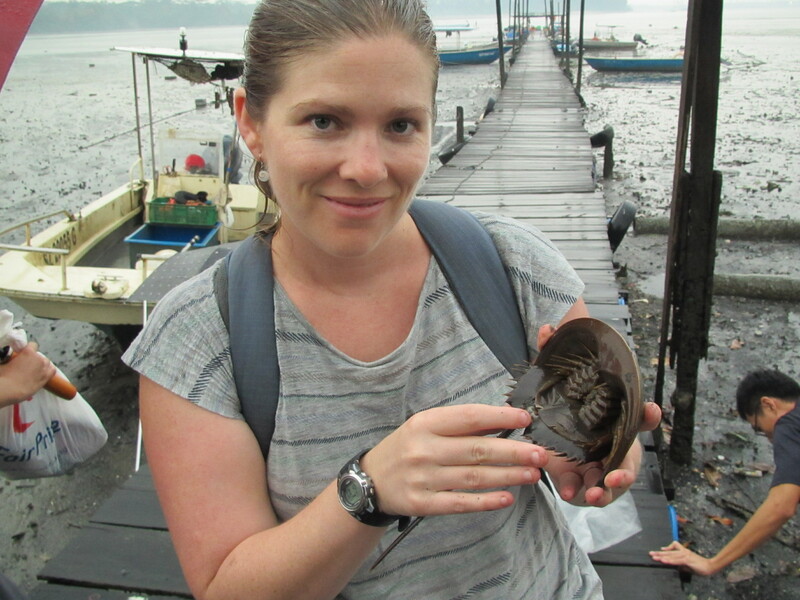 I first learned about horseshoe crabs when reading work by Prof. Jane Brockmann from the University of Florida. Since 1989 Jane has been working on the American species of horseshoe crab (Limulus Polyphemus), which is found along the Atlantic Coast and in the Gulf of Mexico. Given my research background studying sneaky versus fighting male giraffe weevils, I found the mating behaviour of horseshoe crabs fascinating. Jane and her team identified that males use two different mating tactics – younger males in the best condition attach themselves onto females and ride on to the beach with their partners, giving them the best chance for fertilization. Older males or those in poor condition adopt an alternative behaviour coined “satellite behaviour” which involves crowding around male/female pairs on the beach during spawning in an attempt to father a proportion of the eggs fertilized. This tactic is possible because females lay thousands of eggs into the sand which are not fertilized until males release free-swimming sperm – resulting in a huge amount of sperm competition between males. Surprisingly, Jane found that satellite males are able to gain a large proportion of the paternity of offspring (on average 40%), demonstrating that it is worth the risk of possible death to engage in this battle for fertilization (unattached males are more likely to be flipped over in the waves, stranded by outgoing tides and eaten by migratory birds!). 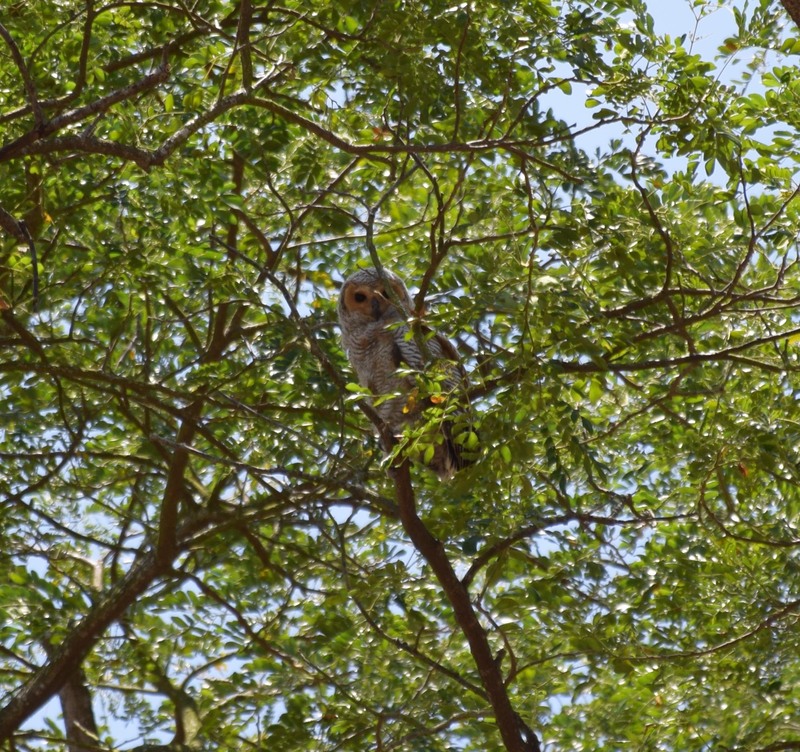 Recent work by this team have reveled the interesting and complex trade-offs involved with being an attached versus satellite male. For example, although attached males have a greater overall mating success, they also suffer costs involved with their mating tactic such as being unable to feed as easily resulting in nutritional stress. Thanks to the Nature Society of Singapore for letting Caleb and I tag along and learn a lot of interesting things about a species we had never encountered before. If you are in Singapore and want to volunteer to help the society with their rescue missions you can find information here. Lots of information about horseshoe crabs by the Ecological Research & Development Group including anatomy, natural history, research etc. Most research has been done on the American species but you can spend ages on this site learning lots of neat things about horseshoe crabs. Last year the Holwell lab was lucky to meet Emma Scheltema, who was kind enough to do a bunch of illustrations for us of our various study species. I’m looking forward to including her work in our upcoming publications. You can see some of her beautiful work here but for her full portfolio you should check out her website. Welcome to my new website! Check in now and again to see updates on my latest research and whatever I’m musing about.